For Luke Dengler, Eva Hansen and Raymond Chin, the quest is nearly finished. For nine other students, the quest has just begun. The 12 students are the first to seek recognition as Grand Challenges Scholars at the University of Rochester, which joined the National Academy of Engineering program last summer. Students from any discipline can apply, including humanities and social sciences. The initiative is aimed at educating the next generation of students to tackle some of the most pressing issues facing society in the 21st century. Students are asked to come up with their own combinations of research, interdisciplinary scholarship, entrepreneurship, global experiences, and community-engaged learning to explore one of 14 grand challenges identified by the NAE. Students who meet the requirements are listed at the Grand Challenges web site and receive a medal at graduation. “This is a great way for students to take ownership of their education here and gain an edge when applying for graduate school or jobs,” says Wendi Heinzelman, dean of the Hajim School. Even before they knew about the program, Dengler, Hansen and Chin were engaged in experiential learning that could be applied toward the requirements of the Grand Challenges program. 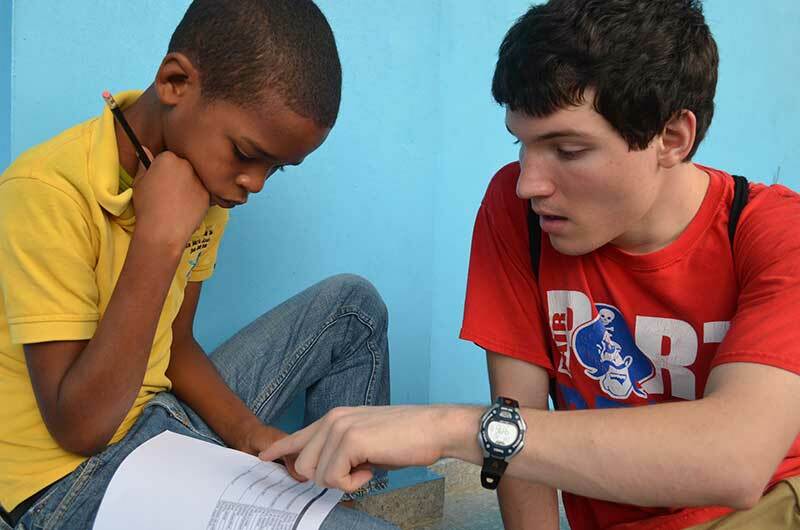 Both Dengler, a senior in chemical engineering, and Hansen, a senior in biomedical engineering, explored the challenge of providing access to clean water while serving with the University’s Engineers Without Borders chapter all four years as undergraduates. 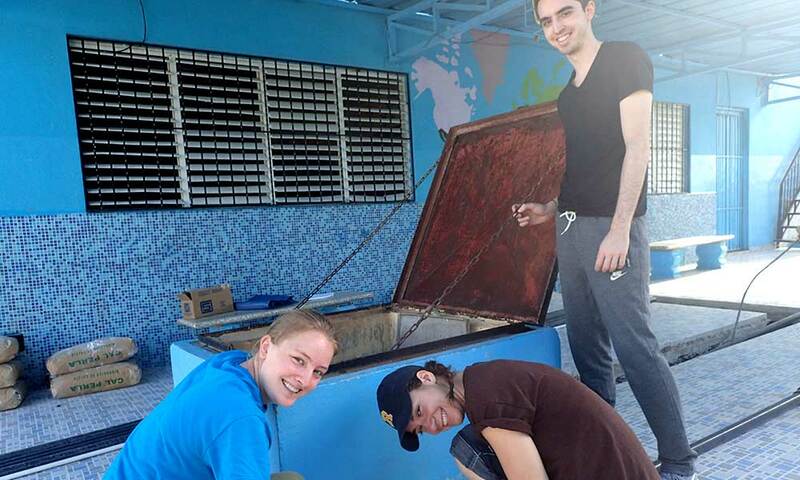 The chapter designed and installed a system to provide potable water to a school in Don Juan, Dominican Republic. Both participated in trips to Don Juan where they conducted on-site bacterial and chemical analysis of the water. They also took classes in public health, and served in leadership roles in EWB. A DAAD Rise internship in Leipzig, Germany in 2016, engineering 3-D micro-environments to control cancer cells. A research internship at Pfizer Pharmaceutical in 2017, studying drugs related to cardiovascular ad metabolic disease. A graduate level course on the FDA and intellectual property. Participation in a University/FDA regulatory science competition. Additional courses in neurological diseases and the drugs engineered to treat them. “We have a number of faculty across the University with interests in virtually every one of the NAE Grand Challenges,” Heinzelman says, “from biomedical research in our Department of Biomedical Engineering and at our School of Medicine and Dentistry, to fusion research at the Laboratory for Laser Energetics, to novel educational models developed at the Warner School, to the research that occurs within our Goergen Institute for Data Science, our Augmented and Virtual Reality initiative, and our Center for Energy and the Environment.